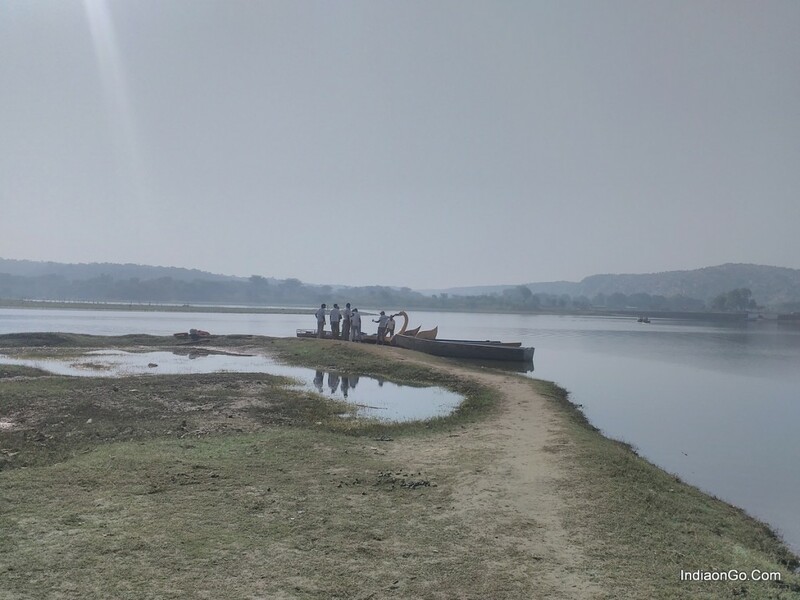 Damdama lake is located in Sohna, Gurgaon district and it is around 60 KM away from new Delhi railway station and 45 KM from Dhaula Kuan. Travel time from kuan to Damdama Lake is around 90 minutes. It is one of the biggest lakes of Haryana State and spreads over an area of 3000 acre. 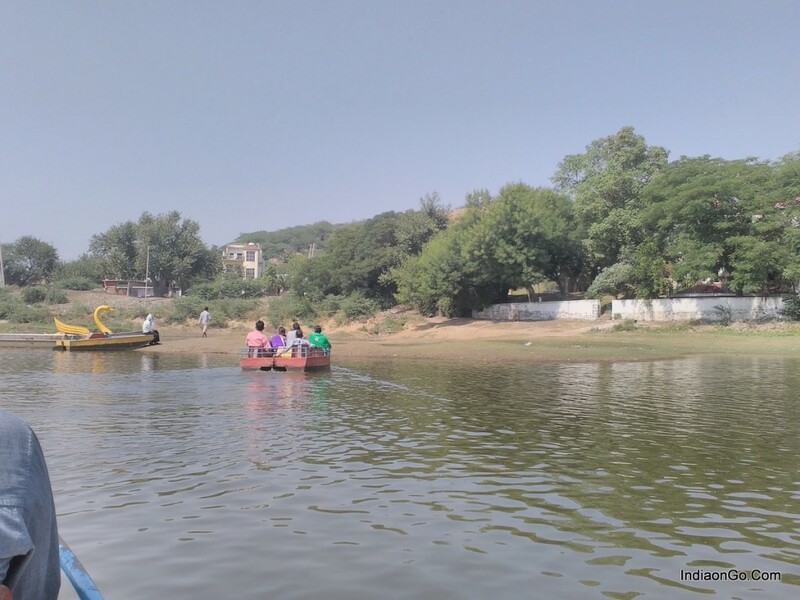 The Lake is surrounded by Aravali hills and view of the lake is beautiful. 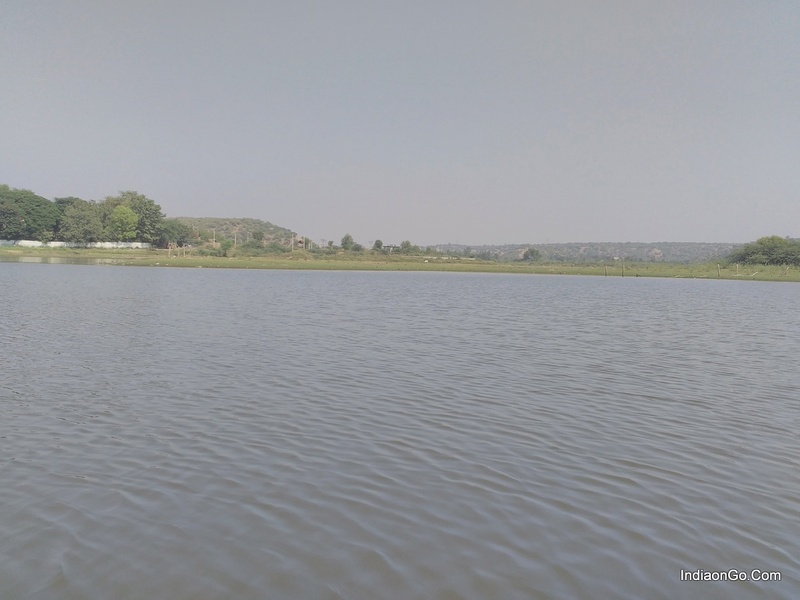 This Lake is 30 to 40 feet deep as it was written on the board near the Damdama lake and lake is also known as Sohna lake. 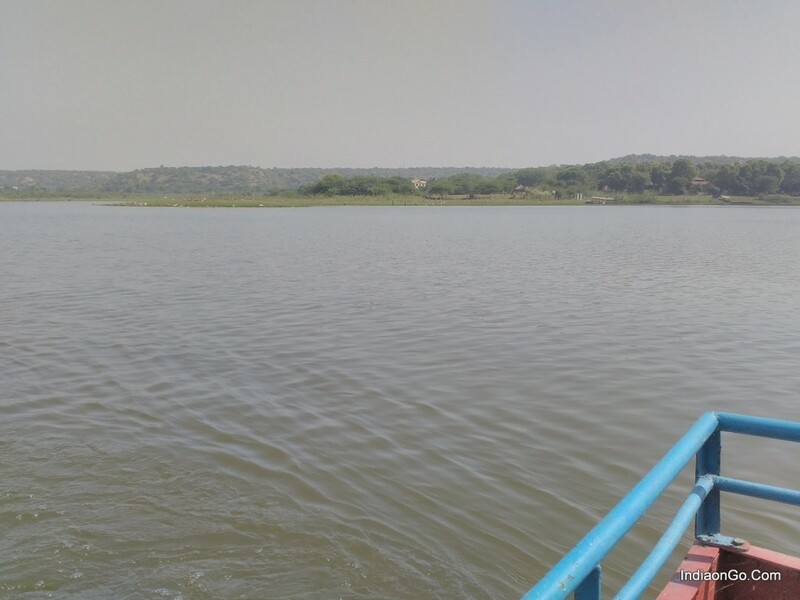 Damdama lake is well connected to Delhi-NCR. I, along with my three friends went to Sohna Lake in the morning of 4th October, Sunday. We left for Damdama Lake from Dwarka around 6.30 AM in the morning. Time taken to reach lake was around 100 minutes. 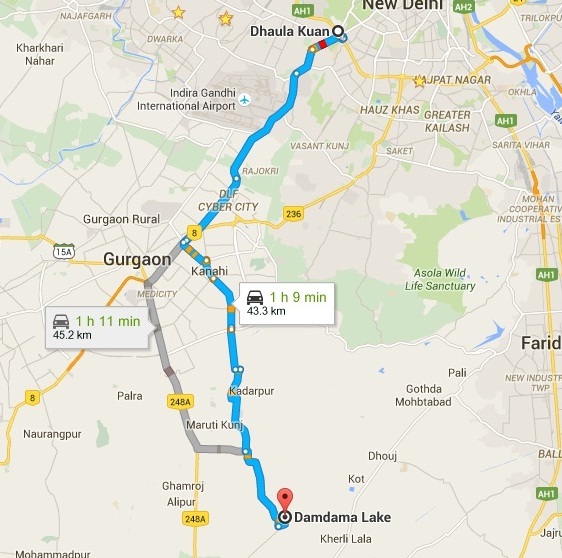 We followed Dwarka-Gurgaon(NH-8)-Damdama lake route. The road from Dwarka till Gurgaon-Sohna Road exit is in very good condition, after taking left turn to Sohna, the road was in bad condition, it was full of Potholes and speed breakers. After driving for 10 KM we took a left turn from Sohna road police post to Lake Road. The condition of roads on this stretch is also in bad condition and full of potholes. You will find hundreds of speed breakers in the 10 KM stretch, so get ready for some unexpected bumps. Saras Resort run by Haryana Government is also there, where you can stay for the day or night. You can go there anytime, stay at Saras resort and enjoy the view of the lake. 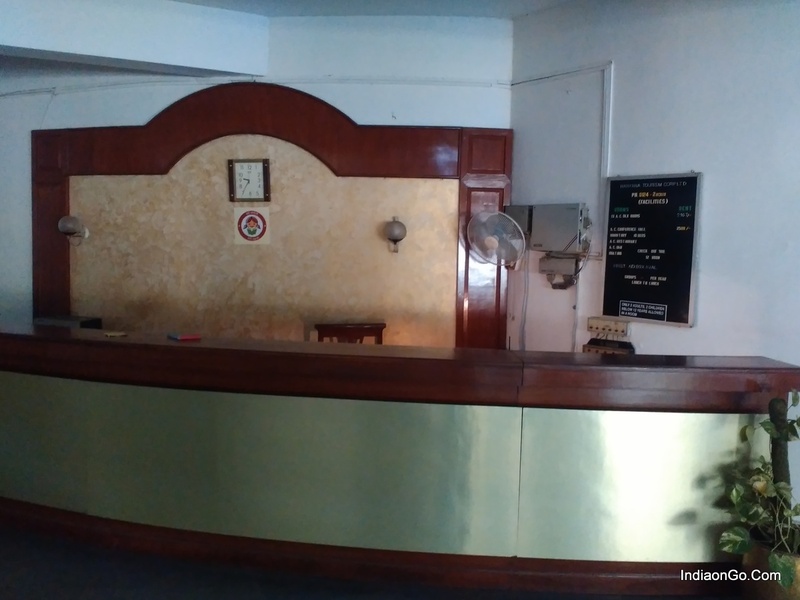 The checkout time of resort is 12 Noon. We didn’t stays in the resort but we used the washroom, the washroom was in good condition. The resort also has a restaurant and the price of food items are fair because as per the location you will not find any other food outlet. We ordered tea and Bread Toast. The price of Tea was 20 Rs and 4 bread toast with butter costs us 40 Rs. The taste of food was fair and you can view the lake through the glass of air-conditioned restaurant. The parking charge for four-wheeler vehicle is 40Rs and for two-wheeler it is 20 INR. The boating charge of a four-seat paddle boat is 150 INR for half an hour. The only attraction is boating and it starts after 10 in the morning so plan your schedule accordingly. We went there in early October but it was a very hot day, the temperature was 36 C, so I would suggest that the best time to visit is From mid October to till March end or prefer any cloudy day. Lake is not too crowded even on Sunday although it fell on long weekend of 3 days. Couples should try this place only on weekends as we noticed few tourists on Sunday itself. I inquired to the officials about the tourist movement on weekdays they told me that on weekdays very few tourist come for the visit. Management must take few steps to beautify the place; location of the lake was beautiful but the litter around and in the lake can spoil the mood. We spotted just two species of bird, I think one is Saras and other one is Jal Murgi (Common Moorhen). The beautiful lake is in bad condition and the water is also dirty. Cattle and dogs are bathing in the lake and surrounding of lake is full of animal waste, bottles, wafers packets, etc. I saw that some visitors were eating on the boat and they threw their litter in the lake.